Embarking on NaNoWriMo is daunting from the jump, but fear not! There are plenty of resources for everyone from first timers to seasoned vets, and there are more popping up each year. No matter how far along you are or what’s holding you up, there’s a solution out there to get you to the finish line. Pep Talks – Pep talks written by well-known authors delivered right to your inbox. Regions – Meet other like-minded participants in your area to help each other through. Word-Count Helpers – Track your progress and share milestones. Forums – Everything from motivators to a place to unwind, be sure not to spend more time chatting than writing! Camp NaNoWriMo is the very definition of community for NaNo participants, featuring counselors and coaches, forums, and badges to celebrate your milestones. Use your nanowrimo.org account to sign in! For something a little different, pop over to Twitter and join a scheduled word sprint run by NaNo volunteers. Have a question about anything NaNo related? Chances are you’ll find your answer here. 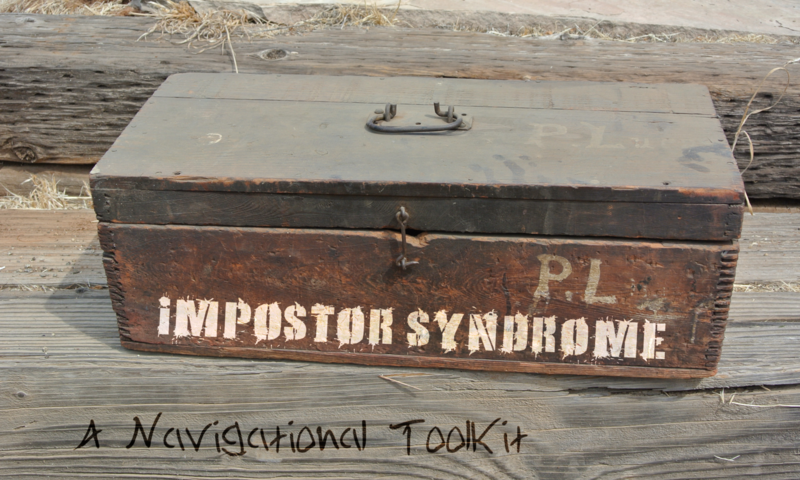 With these resources at your disposal, you can win NaNoWriMo! Now that we’re a few days into NaNoWriMo, you may be starting to question whether or not you can actually pull this off. You may not have even started yet if you plan on word-sprinting through the weekends, but that fear might already linger. Make no mistake, this is a massive undertaking, but it is far from impossible. The first step is preparation. At this point, you should have a game plan, but if you still need some pointers, Melissa has you covered right here: Making the Most of NaNoWriMo. Once you have yourself sequestered in your sacred writer’s cave with a head full of characters and a clear direction you’ll lead them in, nothing can stop you, right? Well … you’re going to experience some fatigue. It may not be today, tomorrow, or even next week, but your brain is going through the wringer this month and you need to stay limber if you’re going to reach the finish line. Here are some insights from previous NaNo participants to keep the words flowing! The 50,000 word finish line can easily be broken down into manageable chunks, such as 2,000 per day or 12,500 per weekend. 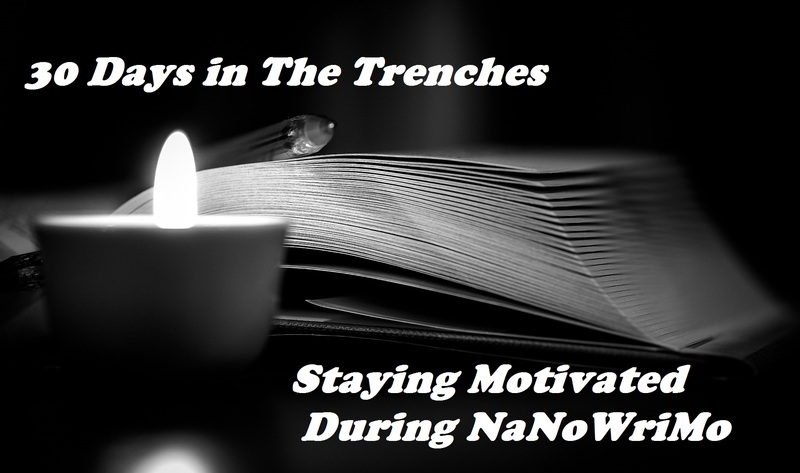 These regular goals can be tailored to your schedule, and when you keep track of your word counts at https://nanowrimo.org, you will earn badges that act not only as trail markers but confidence boosters as well! There will likely be times that you fall behind, but as long as you don’t stray too far from your target, you’ll be able to catch up without exhausting yourself. Those word count gaps can strike terror into the heart of even the most seasoned NaNo vet, so when that fear creeps into your periphery, when your text isn’t living up to your expectations, or if you’re just flat out tired and unable to focus, remember why you signed on in the first place. Whether you feel like this is an important step in growing as a writer, or you’ve always wanted to complete a novel, or maybe you just want to prove to yourself that you can do it. As long as you honestly care about your motivation, it will be an effective fuel! There’s a good chance you’ll notice a boost in your caffeine intake and a decrease in your physical activity and non-workplace human interactions. The quality of your meals might deteriorate as you hijack every possible minute to reach your goals. These situations may be unavoidable for most, but try to strike a balance. Your health is very important to both creativity and productivity, so it’s worth sacrificing a little time to go outside and enjoy the brisk autumn air, play a game with friends or family, or get a little exercise. Sometimes these short breaks can even clear your mind of clutter and help you work through troublesome patches in the novel. However, hunkering down over the leftover Halloween candy and seeing how much sugar you can pack into your body in one sitting is not an ideal break. You’re going to need snacks, and while a little candy here and there can be a nice treat, you should stock up on trail mix, fruits, or even energy bars. I’m not saying you need to go to Whole Foods and go wild on chia seeds and dried kale (unless that’s what you like), but be mindful of your snacking and try to take it easy on the caffeine. If you need a break from coffee, try brewed cocoa or new flavors of tea and always have water nearby! Don’t stop to edit yourself or second guess a decision. If you start questioning what’s hitting the page, make a note and write through it. There will be plenty of time to edit later. When your writing begins to feel sluggish, go wild! Use these moments as opportunities to explore situations you wouldn’t typically consider. Use your instincts and let the characters guide you. If you need to catapult someone into the sun or reveal that someone’s been an agent of the antagonist the whole time to get the pace of the story back on track, so be it. You have plenty of time to edit once NaNo ends, so don’t let any second-guessing throw you off track. You are a warrior, this is your battle, so get in there and slay that word count! Special thanks to NaNo vets Nancy Moran, Judy Hopkins, and our own Melissa Heiselt for all the excellent info that went into this post. Be sure to check out next week’s NaNo blog as Melissa squares off with THE WALL! Are you an aspiring author? 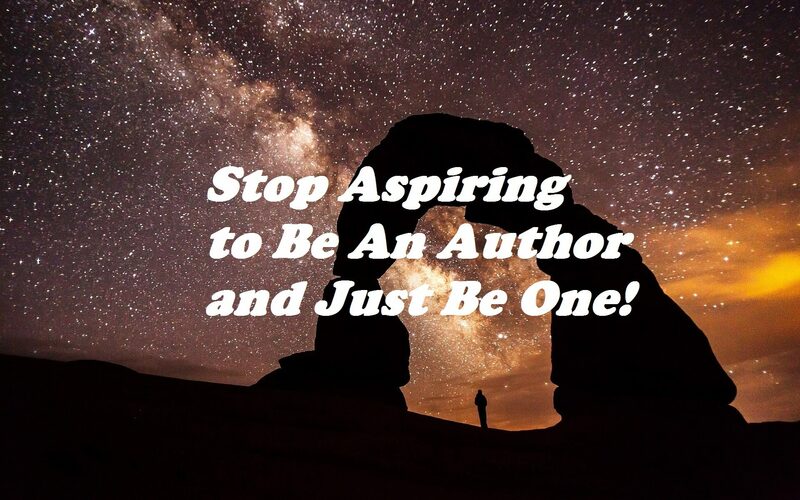 It’s time to stop aspiring and start writing! We live in a busy world. There are only so many hours in the day, and life demands we fill those hours with such tedium as food, sleep, and social interaction. All of those obligations can really take a toll on the aspirations of an author. There are a lucky few people who have the resources to simply sit at a laptop for hours a day and just write with no distractions, no obligations, and no excuses. For the rest of us, there is laundry to fold, hours to work, children to raise, and any number of other things that demand our immediate attention. Fitting a thousand words a day into that can be quite difficult. As with any dream or resolution, achieving success is a matter of planning and execution. In order to successfully write, you must have the discipline to schedule your keyboard time in around the rest of life. Then, of course, you have to follow through with that schedule. Having carved out those minutes or hours, you must protect them and treat them as a precious, necessary item. Perhaps you write best in the morning. Set your alarm for an hour earlier, pour yourself a large cup of coffee and write. If you thrive in the late hours of the night, put your house to rest and settle in for a few hours of uninterrupted writing time. If neither of those are an option, perhaps you could write during a morning carpool, on the bus, or on a lunch break. You could schedule a block of time every Saturday morning, Thursday during soccer practice, or Sunday after The Walking Dead. It bears repeating that you must protect that time. Don’t short yourself the time you need to be successful. If this is important to you, you must make it happen. A support system is crucial for writing. There is a reason so many first novels are dedicated to children and spouses. Let your family know that you need their support and their tough love. It can be a powerful motivator to have a spouse who is willing to tell you that you should be writing instead of surfing social media for cute cats or funny videos. Have your children ask how many pages you wrote today and give them a truthful answer. Their excitement or disappointment can be critical. Let your friends into your literary world. Involve them as Alpha readers or bounce story ideas off of them. Not only will their advice be helpful, but it can also give you something new to discuss over coffee or wine. A plot twist or character arc can really add some life into otherwise dull and rote conversations. Perhaps pick a friend’s brain about how they would handle the issues that your characters face. Inspiration can be found in the most unlikely places. When writer’s block strikes and you simply cannot get yourself to express even a single sentence, it is time for something new. Change which story you are working on. Find a quick prompt to get the words flowing. Take your laptop to a coffee shop and journal about the patrons there. Try jotting phrases free hand instead of on your computer. Compose a poem about falling leaves or the scent of coffee. Construct a dating site profile for your main character. Blog about what you ate for dinner last night. The important part isn’t the words, it is the communication of ideas into something concrete. The act of writing gets your brain into the mindset of writing. Even if you keep nothing from these efforts, you still put pen to paper, and that is a far better use of your time than “liking” pictures of your best friend’s cat. In the end, it is unlikely that anyone in the world cares about your dreams more than you do. If you can’t find the time or discipline to write, you will never be a writer. Your stories will suffocate in the dark of your mind. They will stay locked inside of that place in you where fictional characters live before they are born of ink and word. Free them from the confines of “could have been”. Make time to write. Make yourself accountable. Be a writer. Not an aspiring writer.